Susan Call is an author and speaker whose passion is encouraging contagious hope and inspiring faith-filled strength to overcome life’s challenges. She loves tapping into her 15+ years of project management experience to help equip other writers and speakers to reach for their goals. Susan’s memoir, A Search for Purple Cows shares her remarkable story of betrayal, abuse, finding faith, the power of forgiveness, and the joy of redemption. She has also published a fiction short story “Secondhand Miracle’ in A Cup of Christmas Joy by Guidepost Books, and has written for Guidepost Magazine, Chicken Soup for the Soul, and for Focus on the Family Magazine. A native of Pennsylvania, Susan now calls New Hampshire home. She holds a Masters Degree in Marriage and Family Therapy and an undergraduate degree in Computer Science. Susan speaks fluent Swedish and enjoys pursuing a hobby of photography. She’s a proud mother of two children, a wife and a stepmother. Susan will be teaching a pre-conference session, a breakout session, and taking 15-minute appointments. Want to make the most of your conference? Learn tips for navigating the workshops and appoint- ments at the conference while developing an effective action plan for after the conference. Gain tips that you can implement for your speaking presentations, your writing small group critique, and your 15-minute appointments. Not sure where to start or how to build momentum with blogging? Blogging is still a great corner- stone for your writing platform. We’ll explore how you can develop, grow, and integrate with social media. Additionally, we’ll talk about the why’s and how’s of blogging covering email lists, opt-ins, SEO and other tips to take your efforts to the next level helping you build your platform. 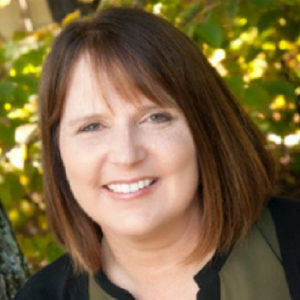 Susan Call – Susan will take one-to-one appointments with writers looking for tips on blogging and leveraging blog content across social media platforms. She’s a great resource for tips on blogging best practices as well as time management tricks that can make the most of the time you have available to write. If blogging or the writing process seem overwhelming, Susan can help you develop a plan to implement your ideas.